The players in this past spring's stadium endgame say they are reluctant to reopen the deal struck in May to build the Vikings a new stadium. Despite disappointing initial projections of the gambling revenue earmarked to help pay for the nearly one billion dollar project, they say it was a carefully crafted deal, and that changes won't be easy to make, even in the face of financial doubts. "I'm still cautiously optimistic," said Gov. Mark Dayton, speaking to Minnesota Public Radio's Morning Edition Thursday. 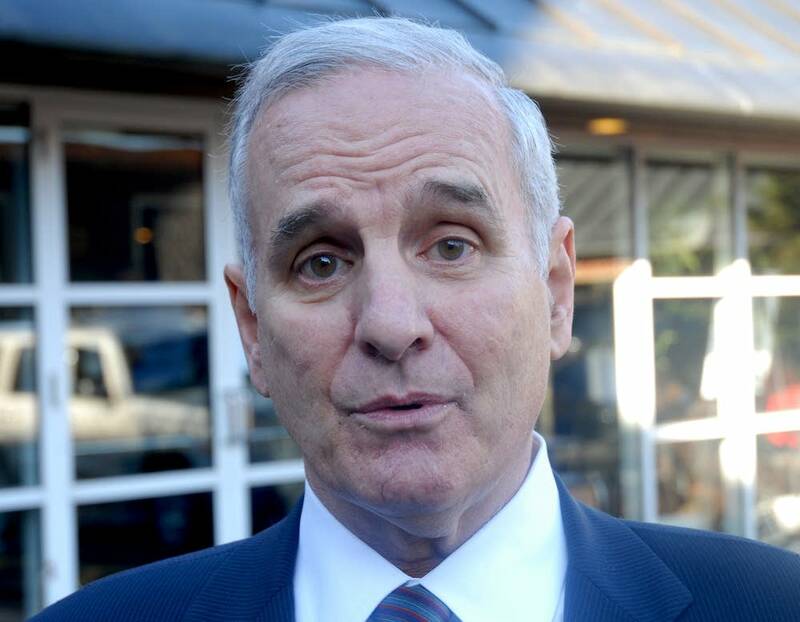 Dayton said he was not worried about new projections by state finance experts. 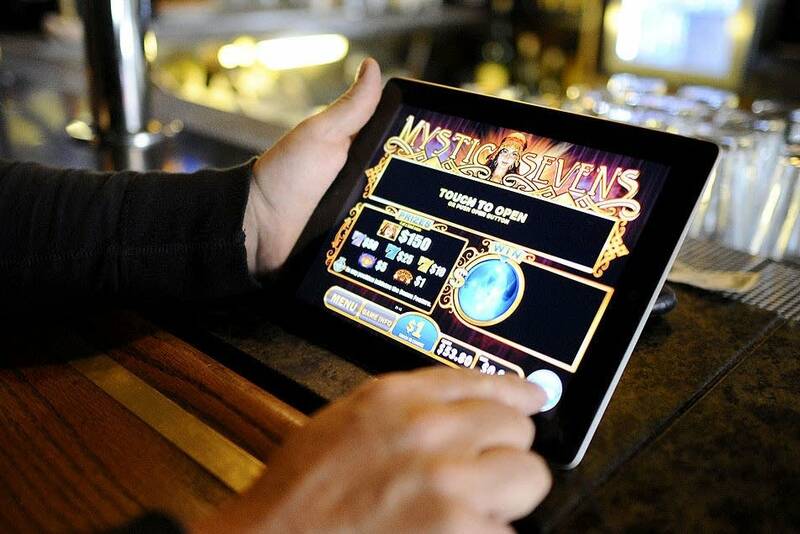 Those projections halve the expected revenue for electronic pull-tabs for fiscal year 2013. Taxes on pull-tabs are expected to pay off the state's $350 million share of the cost to build the new facility. But of 15,000 devices that are supposed be generating the cash, only about 340 are up and running. While Dayton said he is confident the deal will work, he also opened the door to revisiting the stadium bill hammered out last spring by his administration and the GOP-controlled Legislature. Specifically, he said the state might want a bigger slice — as in more taxes — if it turns out the gambling pie is not as big as projected. "If we had all the pull-tab revenues as we proposed coming into this project, we wouldn't have this issue at all," Dayton said. "But legislative leaders last year decided they wanted a good part of this money going to other causes, so we ended up shorting the stadium and putting it on a very thin margin." High on the list of other causes is tax relief for the charities that run gambling operations. The intention is that charities would pass some of the cash from that relief on to their worthy causes. But Dayton suggested the same money could also close a gap in state funding. "In my view, we should deal with the way the pull-tab revenue is being divided up, rather than going for the stadium," Dayton said. That tax structure was a matter of fierce debate as the House and Senate negotiated the stadium bill in the waning days of the legislative session. But that Republican-controlled Legislature is gone and Dayton's DFL allies have taken control. State Sen. Julie Rosen, R-Fairmont, was one of the authors of the stadium bill. "I don't think there's any appetite to open this bill up. Period," Rosen said. She said it is too soon to sound the alarm on the financing. The electronic pull-tabs went into operation Sept. 18. "The problem is we haven't allowed enough time to get this thing up and rolling," Rosen said. "There's a few glitches, but I think if everybody just steps back and says, 'OK, these are working in the locations we have them placed in.'" Senators seemed of a similar mind on the other side of the aisle. "We just started. It's just being implemented. We want to make sure that the system has a lot of integrity," said Sen. Sandy Pappas, DFL-St. Paul, who is the incoming chair of the state and local government committee. "We'll keep our eyes on it. But I don't think that we're going to open it up. We're going to give it time to work." Rep. Morrie Lanning, who was the House author of the bill, said the deal was finely tuned and cautioned it might yet unravel at the Capitol if change comes to the charities' tax share. The Moorhead Republican is retiring from the Legislature. "In the end, maybe they got more relief than maybe was originally proposed, but not as much as they wanted," Lanning said. "I know the governor was trying to keep that down, in terms of the amount of tax relief. But hey, that was a compromise. A negotiation. That's the way this process works." For their part, the charities cautioned that going back on the compromise might be counterproductive. "The charities today, a lot of them are hanging on by a thread anyway, and increasing taxes on them would only increase the number of charities that say, every month, enough is enough," said Allen Lund, executive director of Allied Charities of Minnesota, the trade group of lawful gambling operators. "We are not going to do this anymore, because there's nothing left for our mission work. When everyone else gets paid, there's nothing left to give away." And that, Lund said, won't help get more electronic pull-tabs into bars and collecting gamblers' money for a stadium, either.